Inappropriate Elimination: Why Isn’t My Cat Using the Litter Box? Urinating or defecating outside the litter box, known as inappropriate elimination, is the most common behavioral complaint of cat owners. 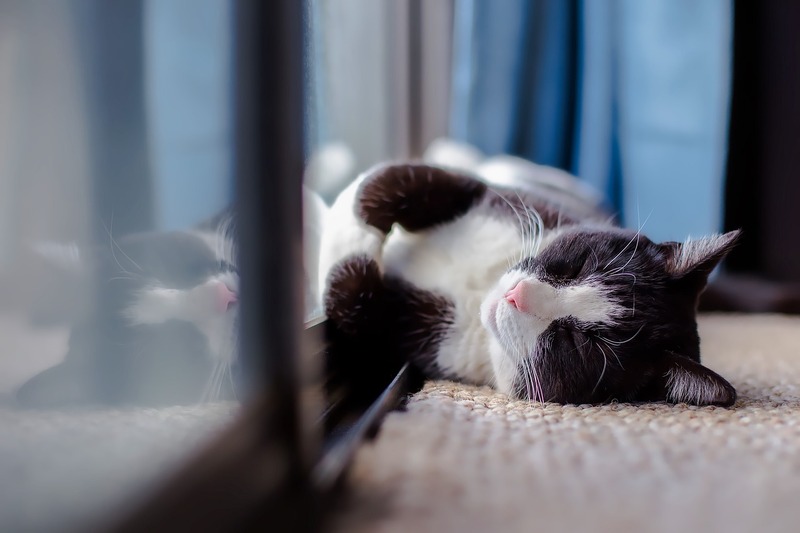 Understanding the underlying causes of this condition—and how to treat them appropriately—can help ease the frustration and rebuild the bond between cat lovers and their feline friends. Inappropriate elimination can be caused by medical or behavioral issues. How can I find out what is causing my cat’s inappropriate elimination? The first step in finding a cause for inappropriate elimination is to see a veterinarian. While many cat owners believe their feline friends are “misbehaving” when they urinate or defecate outside the litter box, more often than not, the cat is simply trying to avoid a painful trip to the litter box. A thorough exam with your cat’s veterinarian—including diagnostic tests such as blood work, X-rays, urinalysis or urine culture, if necessary—can help rule out medical problems that could be causing or contributing to the problem. Generally, medical causes are easy to treat and once treated, the behavior stops. If a medical cause is not found and all underlying conditions have been ruled out, the next step is to consider behavioral causes. If your cat is choosing not to use the litter box consistently, he/she may have an aversion to the type of litter being used, the location or maintenance of the box or even the box itself. Box: Some cats are larger and therefore need a larger box. A large plastic storage box may make a better litter box if your cat barely fits in the box that you have. Some cats prefer open litter boxes over hooded boxes. If the cat has arthritis or mobility problems, the sides of the box may be too high. Be sure to also consider the number of boxes in your home. There should always be at least one litter box per cat in the house. These should be in different locations. If your cat is having elimination problems, an extra box may help. Litter: Most cats prefer unscented, clumping litter, but this is not true of every cat. You can experiment with several different kinds of litters—including clay, crystal, paper, sand and even wheat or corn—by offering the cat his/her choice in side by side boxes. Do this for a week to see which litter the cat prefers. Location: For many cats, there is simply too much noise or activity where the litter box is located. In general, it is best to avoid placing the litter box in loud, high-traffic or otherwise unpleasant areas. Make sure the box is located in a semi-private area as well. If another pet or child bothers your cat while he/she is using the box, he/she may avoid it altogether. If your cat is constantly eliminating in the same spot, a box should temporarily be placed in that location. When the cat is back in the box consistently, it can be moved a small distance at a time to a more convenient location for the household. Maintenance: Cats prefer clean litter and litter boxes! Keep yours fresh by scooping twice a day, cleaning and changing litter weekly and buying a new box yearly. If you are using a hooded box, do not forget to clean the underside of the hood. Stress is another major behavioral cause of inappropriate elimination. Most of us do not think our cats are stressed, but if your cat is not urinating or defecating where he/she should be or has other behavioral issues without an identifiable medical cause, chances are he/she is being stressed by something. Prevention and management of inappropriate elimination behaviors caused by stress or anxiety requires identifying and changing (if possible) the stressors in the cat’s environment. These stressors can include other pets or children, a recent move, new family members (furry or otherwise), houseguests or any other changes within the home. In multi-cat households, overcrowding is often a recipe for behavior issues. 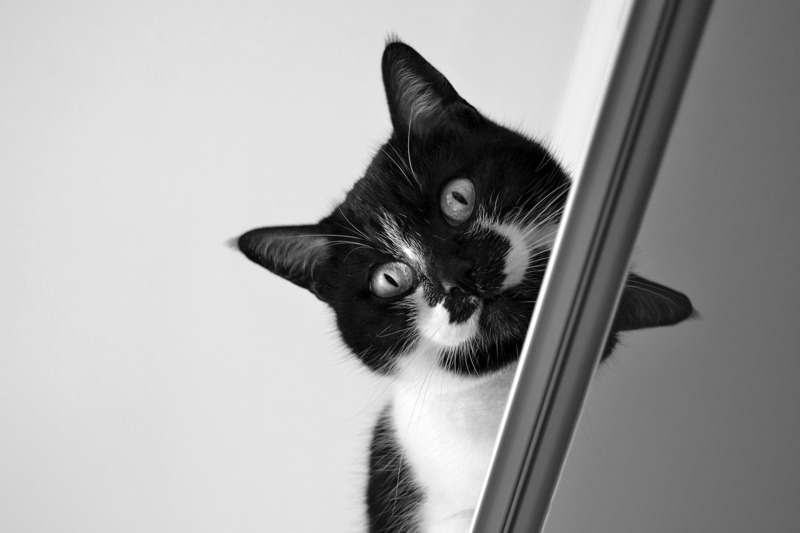 Even seeing or hearing a neighbor cat through a window can be enough to cause significant stress! The bottom line: Treatment for inappropriate elimination behavior is not hopeless. It is a complex process focused on both ruling out or treating underlying medical causes and modifying the home environment to re-establish regular litter box usage—and it all starts with a visit to your veterinarian! To learn more about inappropriate elimination in cats or to schedule an appointment, please contact us!